Celebrating "the most wonderful time of the year" in "the happiest place on earth" is an experience you don't want to miss. Holidays at Disneyland is here with more spirit than ever and I wanted to share some highlights from our amazing visit. Our day started with cookies and hot chocolate at Aladdin's Oasis. Who doesn't like cookies and hot chocolate?! Especially if it's chocolate-covered and shaped in the form of a famous mouse (which btw was worth every calorie). Mickey, Minnie, Pluto and Goofy were on hand to pose for holiday photos which we took FULL advantage of. When the lines were empty my daughter went up simply for hugs and handshakes from her favorite clubhouse pals. We then grabbed front row seats to view the special holiday parade "A Christmas Fantasy". Some of our all time favorite Disney characters such as Woody, Buzz, Belle, Pooh and even ice-skating Mickey and Minnie rode on gigantic colorful floats blowing kisses and spreading holiday cheer to all the guests including my speechless two year old. My husband was on video duty (as you can see from the photos below) so he got very up close and personal to some dancing reindeer and hungry chipmunks. If you're a fan of Tim Burton's "The Nightmare Before Christmas" then you won't want to miss The Haunted Mansion. The inside is decked out from top to bottom with spooky decorations from this all-time favorite classic! When the sun sets the REAL magic begins!!! Lights, lights and more lights appear all over the park. The sight of the glowing magic castle is simply breathtaking! It's A Small World is colorful and even used as a backdrop for cartoons that appear every hour on the hour. Last but not least every inch of Main Street is lit up with colorful lights and a spectacular glowing Christmas tree. It's A Small World has always been my favorite ride in the park so I was excited to see it transformed to celebrate the spirit of the holiday season. Before we knew it the fireworks spectacular "Believe...In Holiday Magic" lit up the sky. The best part of the show was the snowfall in Tomorrowland immediately after the fireworks finale. The look on my daughter's face as she felt it fall from above was priceless. I have to admit I did get a little misty-eyed watching daddy and baby giggle as they tried to catch drops of snowfall in her tiny hands. Holidays at Disneyland is going on now until January 2, 2011. Make this season extra special by celebrating it on the happiest place on earth and creating priceless memories that you'll remember for years to come. I know annual passes will be going on "my" wish list to Santa. Thank you Disney for making our "Holidays at Disneyland" so magical!!! When someone mentions the word "tea" I automatically assume they mean a mug microwaved on high for 2 minutes with a bag of Lipton dipped in it. So it's safe to assume I've never exerienced a proper "tea" dining experience until recently. Last Wednesday I attended the Getty Villa's "Tea By The Sea" with some fellow mom bloggers in the Pacific Palisades. Our day started with a fascinating tour of Mr. Getty's former home which was built to replicate the Roman country house Villa dei Papirit. The architecture, artwork and landscaping were absolutely amazing. Our tour guide Eric then led us into the gardens where we smelled fragrant citron, apricot and olive trees. I learned that tarragon is known to have foot-healing properties and that Cleopatra was rumored to have been poisoned by a basket of figs. After the tour it was time for tea!!! And this wasn't just any tea this tea was a custom aromatic blend which is only avaiable at the Getty Villa. We dined on savory panini sandwiches, tea breads, port-infused cheese, fresh and dried fruit then finished off the meal with gourmet tarts and Mrs. Garrett's famous carrot cake. Definitely a great way to have my first (but definitely not my last) "tea" experience. The Getty Villa's "Tea by the Sea" is available every Thursday at 1pm in the Founders Room @ $36 per person. Click on this link to book your reservation today and prepare for the tea experience of you're life. You'll leave there saying "Lipton who?". Disclaimer: I was not paid for this post. I was invited to preview the event and the views expressed are my personal and honest opinion. And even after this experience I still enjoy a good cup of microwaved Lipton tea. My daughter has recently become obsessed with everything Disney. She sleeps with Minnie, travels with Mickey and wears the ears almost on a daily basis. So when I was invited to the Disney Interactive Studios Holiday event at the Victorian I packed up Mickey along with a couple of friends and headed down to Santa Monica. The first thing we did was take holiday photos with elf ears, candy canes and even "Santa Paws". That is definitely a real dog. Apparently my daughter doesn't share the same fear as her mama because she kept trying to lay her head on him. Up next were the video games. "Tangled" seemed to be the favorite even before the movie was released. There was also Epic Mickey and belting out the tunes to Black Eyed Peas' "Boom Boom Pow" on Sing It! We took a break to decorate some holiday cookies. My daughter apparently thought the sugar cookie was fine without the decoration because she took a bite immediately after it was handed to her. The girls also got a chance to get creative by decorating Christmas ornaments and drawing some masterpieces. 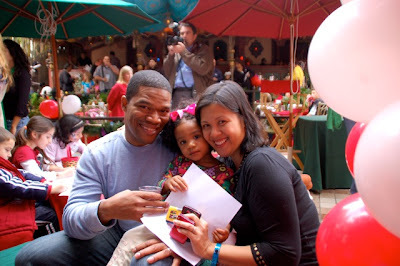 I snuck over to the Family.com station to get some great ideas such as making my own Disney holiday gift tags. Displayed were some of the exciting holiday releases such as Sorcerer's Apprentice, Toy Story 3, Santa Paws and some familiar classics like Fantasia, A Christmas Carol and my favorite Beauty and the Beast. We had a fabulous time and left with great gift ideas for the whole family. I know most of them are going on our Christmas wish list to Santa. Thanks Disney! 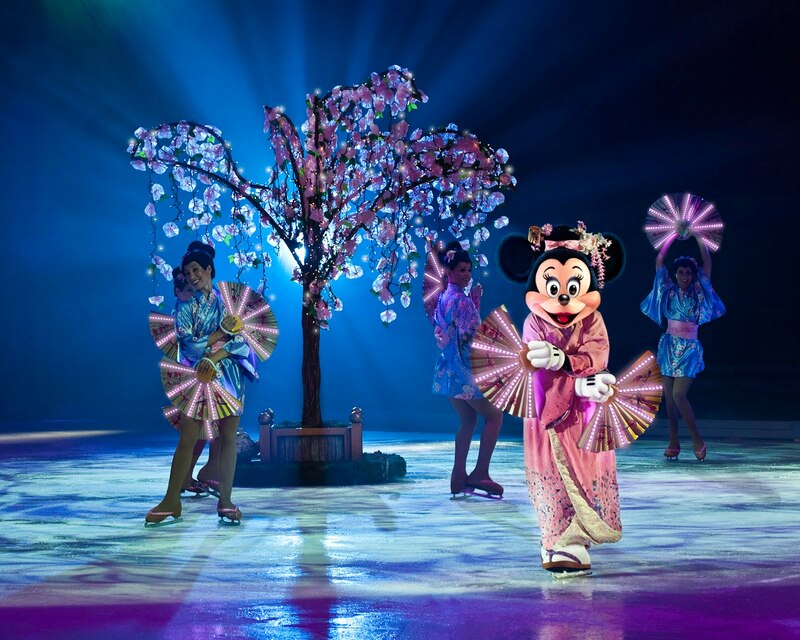 MOM Discount for Disney on Ice "Let's Celebrate"! For all you moms out there make sure to use this special discount to see Disney on Ice! "Let's Celebrate". 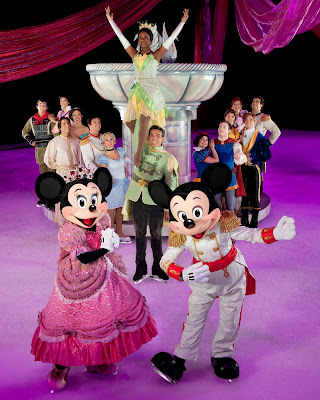 You don't want to miss this celebration with all your Disney favorites on ICE!!! Disney on Ice Presents "Let's Celebrate!" If you love the holidays AND Disney you won't want to miss Let's Celebrate presented by Disney on Ice! 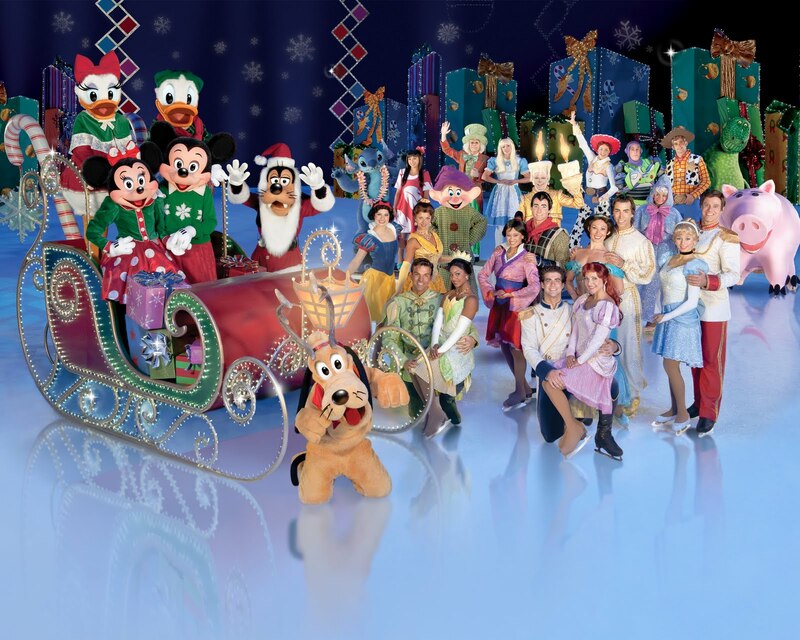 Mickey and Minnie along with other character faves such as Buzz, Woody, Ariel and much more will be on hand to partake in a wide array of holiday festivities such as Valentine's, Halloween and even a Hawaiian luau. Make sure to bring your family December 15th-January 9th to see this colossal party on ice!!! 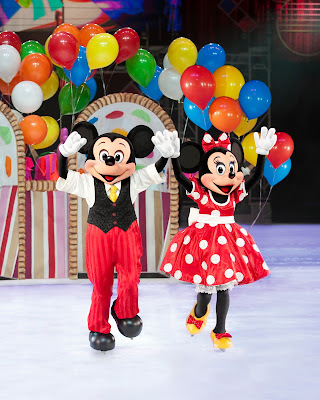 For more info visit disneyonice.com and facebook.com/disneyonice. The two winners of TWO $7 Wendy's giftcards are Mami2jcn and Amie!!! Congrats to both of you and thank you to all of you for reading my blog! It's no secret that I'm a HUGE Fresh and Easy fan and if you've read my previous posts about their summer items or EatWell meals you'll know why. 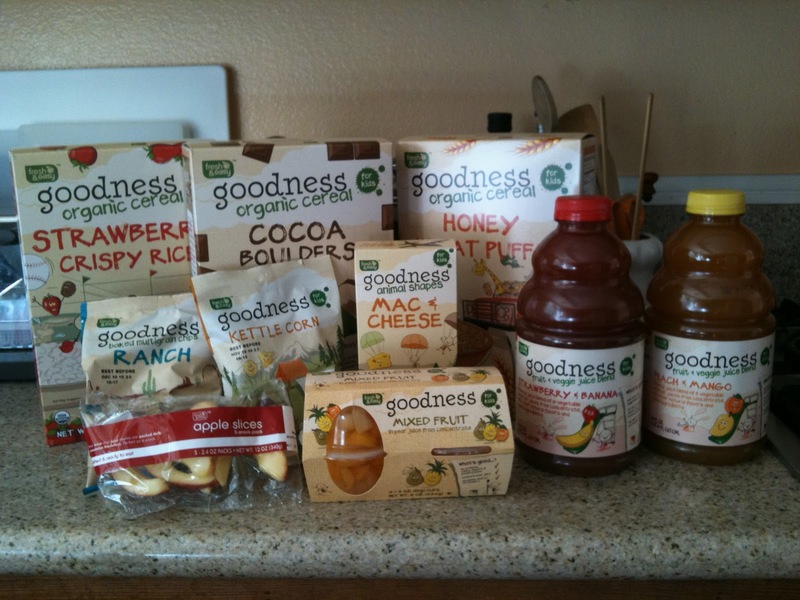 They recently came out with their new "Goodness" line which is basically nutritious and delicious food that are good for kids and also good for your budget. So when Fresh and Easy invited me to share their "Goodness" line with some fellow moms and their kids and I thought it was such a fantastic idea I asked if I could have TWO parties!!! The first was a birthday party that was being thrown by a friend who was NINE months pregnant! It was my friend Kerri's daughter's 3rd birthday and I figured preparing food was the last thing she wanted to do while getting ready to pop out a baby in less than a week. I know mothers out there can probably relate because I wanted to do as little as possible at that stage of my pregnancy. Angelina from Fresh and Easy (party-planner extraordinnaire) even decorated and set up all the food to lessen her load. Kerri at 9 months pregnant! Angelina and her daughters with Kerri and myself. Cinderella taking a multi-grain chip break. Ms. Lucy sporting her Fresh and Easy tattoos during cake time. The kids at Lucy's party LOVED the Cocoa Boulder cereal, kettle corn snack packs along with the strawberry banana juice! I was amazed to find out that most of the moms had never been to Fresh and Easy because they thought it "looked too expensive". When I told them it was quite the contrary and after tasting all the delicious treats they were excited to find out for themselves. 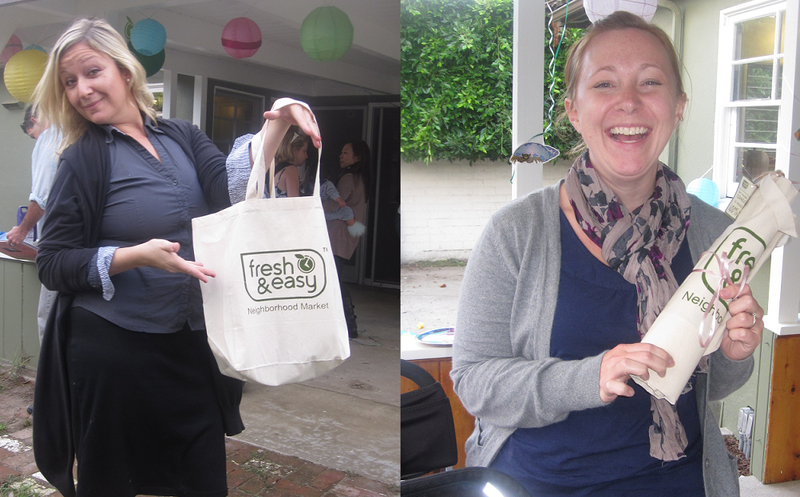 Sinead and Lisa ready to grab some "Goodness" goodies with their F & E totes! 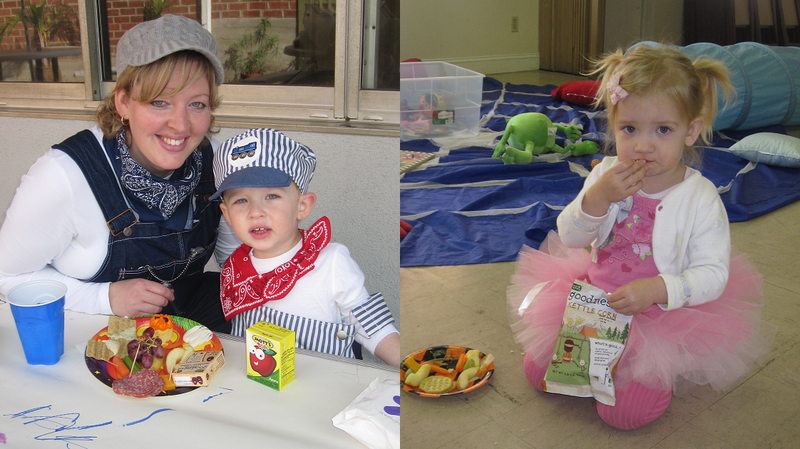 The second was a Halloween party for my mommy and me playgroup. Half of the moms wanted to sample the products because a new Fresh and Easy store recently opened up in Burbank (which is a city nearby) while the other half raved about how much they already loved Fresh and Easy and couldn't wait to try out their new kid-friendly "Goodness" line. Angelina, my lifesaver, once again came to set up and filled everyone in on the new products. So many goodies to choose from. Angelina helping my daughter with the F&E stickers, giving the low-down on the Goodness products and posing with me in my Where's Waldo? costume. The Halloween party favorites were kettle corn, Cocoa Boulders cereal and apple slices. All the moms received their very own reuseable tote bag along with samples of the multi-grain chips, raisin packs and even some Fresh and Easy coupons. Our teacher Ms. Loretta with her F&E tote. 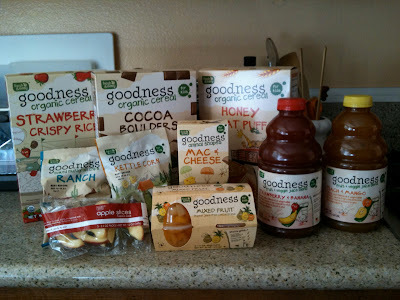 Thank you Fresh and Easy for allowing me to share your "Goodness" products with all my mom friends and their kids! Oh, in case any of you are wondering my friend Kerri gave birth to a happy healthy baby girl six days after the party. Disclaimer: I received products and materials used towards the parties and also a stipend. The views expressed in this post are my personal and honest opinion.